The Department of French and Italian (FRIT) is a multicultural and international department with a commitment to equity, diversity, and inclusion. We are engaged in groundbreaking research, multi- and cross-disciplinary endeavors, curricular innovation, and service and outreach efforts with the aim of enhancing the well-being of members of the department, Ohio State students and staff, the university more broadly, the Columbus community, and the many disciplines with which we enter in dialogue. Our department is committed to manifesting the utility and indispensable nature of foreign languages to a vibrant university ecosystem, fostering plurilingualism and multiculturalism in Ohio and beyond. FRIT offers students in our French and Italian language courses a unique curriculum that is informed by faculty research and grounded in interactive and purposeful methodologies and culture-based instruction. 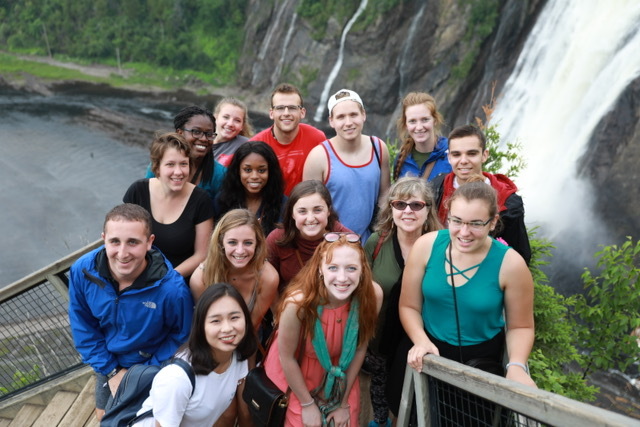 We encourage students to incorporate study abroad into their course of study in a way that fundamentally integrates the development of language skills and intercultural competency. FRIT offers several study-abroad scholarships for majors and minors to study in France, Italy, Quebec and Senegal. FRIT offers GE courses on French, Francophone, and Italian cinema and culture, Mafia movies, and adventure narratives. FRIT faculty aim to convey our research in an accessible and broadly applicable fashion, and in our General Education courses we emphasize the development of critical thinking and writing skills that are transferable to myriad professional contexts. Specialist in Medieval and Renaissance Italian literary culture, with publications and courses traversing the period from Dante to Tasso; currently completing the monograph The Edge of Pastoral. Specialist in Francophone African literature and philosophy; recently published a book on the philosophy of the Negritude movement; working with the Wexner Medical Center on the Global Burn Initiative to train Senegalese medical professionals in burn care; recent recipient of a Fulbright grant to author a biography of Leopold Sedar Senghor; founding member of The Dakar Institute of African Studies, a platform that organizes courses, conferences, and public lectures in Dakar every summer. Specialist in 20th- and 21st century French literature and culture; recently finished six-year term as chair of department; interested in French-American cultural relations and is working on a book on French critiques of “American-style” notions of happiness. We are one of few departments in the nation to offer multiple-area Francophone studies — Sub-Saharan and North Africa; the Caribbean; ethnic minorities in France; Quebecois literature, theory, culture, film and music. French majors are regularly accepted to the French Government Teaching Assistantship Program, a competitive program that selects graduating seniors from around the nation to spend the year following graduation teaching English in a French public secondary school. Graduating Italian majors can work with the SITE Program (Study, Intercultural Training and Experience), a paid internship program for English Teaching Assistants in the schools of the region of Lombardy, Italy. Every year, French and Italian majors produce the FRIT Radio Show, hosting weekly broadcasts in French and Italian on Ohio.fm. Italian majors are involved in community outreach by assisting Professor Janice Aski in teaching Italian at The Wellington School while French students volunteer at Ecole Kenwood French Immersion School. Students become more fluent in the language and more engaged in the culture, especially through activities like the Italian Club’s bocce and soccer tournaments that make the Italian culture come alive.